Perched at an altitude of 1,080 m on the Lavaux hills and awarded the status of a Unesco World Heritage Site, Mont-Pèlerin is a superb look-out point, offering a number of breath-taking panoramas for you to discover as you walk along the trail. Just ten minutes from the valley floor by the funicular railway or car, the starting point for the Mont-Pèlerin walk is above the chemin de la Maison Jean. The path through the forest leads to the Mivy Plateau after you leave the forest. The effort of climbing to the Chalet de la Molle is rewarded by the view over the foothills of the Alps in Fribourg. Finally, when you complete the loop, your view extends over all eastern Switzerland, les Rochers de Naye, les Diablerets, les Dents de Morcles, le Mont Vélan, le Grammont and beyond Lake Geneva. In good weather you can even see the Grand Combin, the second-highest peak in French-speaking Switzerland. Walkers have a choice of routes for the way back to the little station of the Mont-Pèlerin funicular railway. 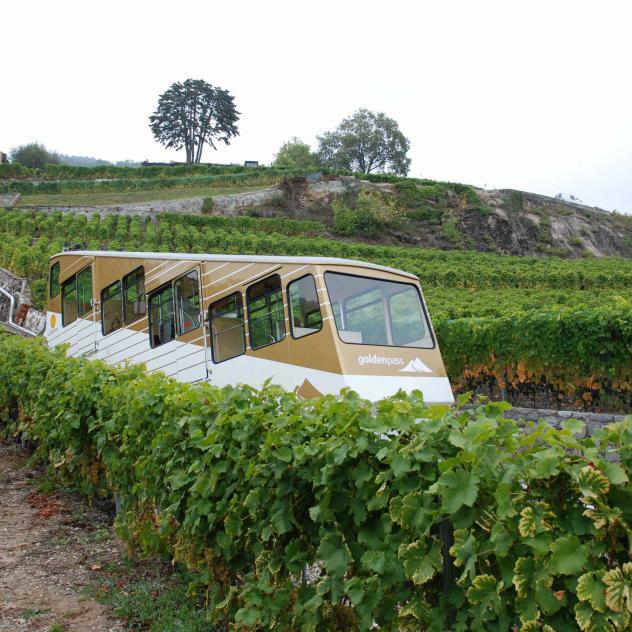 A visit to the terrace of the Mirador Resort & Spa hotel (5 stars) will delight lovers of beautiful views and the Vevey-Mont-Pèlerin funicular railway is the ideal way to experience an exhilarating idyll as you travel through the vines of Lavaux on your way to Vevey. Follow the signboard for Mivy as you start from the car park above the chemin de la Maison Jean. Cross the Mivy plateau after you leave the forest. Climb towards the chalet de la Moille then bear left. At the start of the forest continue along the level then climb to the left on the Pré de la Demoiselle meadow. Pass in front of the chalet Butticaz and then in front of the chalet Volet before dropping downhill towards the car park. You can also joint this path from the Mont-Pèlerin station. Follow the pink markers which will take you to the start of the Mivy Plateau (you return by the same path).